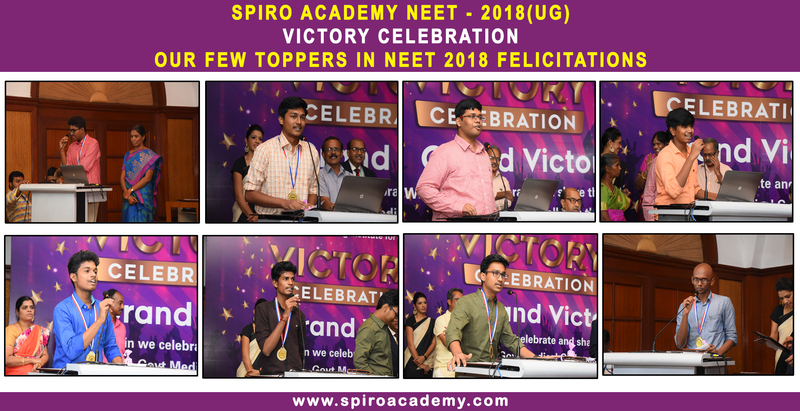 General Discipline - SPIRO bears the responsibility of its students' academic performance and discipline within its premises only and is not responsible for the students' general behavior , act & conduct, boarding & lodging arrangements and discipline outside SPIRO premises. Parents are advised to remain in touch with their wards and keep a strict vigilance on his/her activities and behavior throughout the academic session. 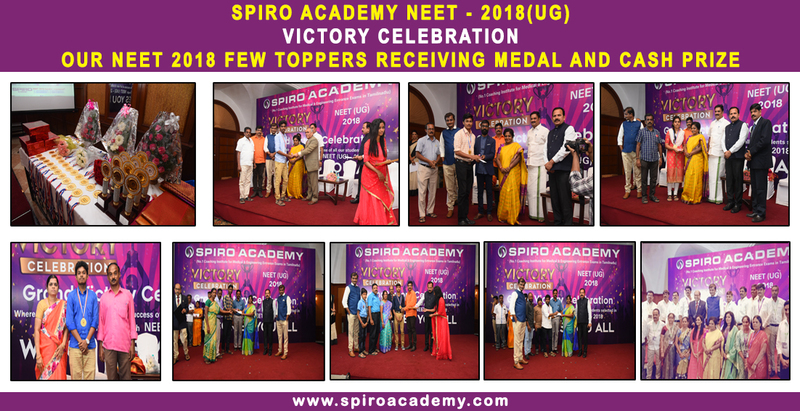 Identity Card - On successful registration of students at SPIRO, they get the identity of a "SPIROIAN" in the form of an Id-Card. 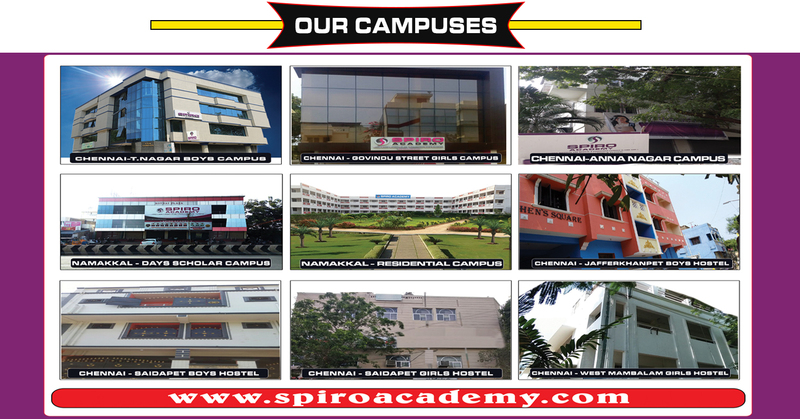 Students are not allowed to enter SPIRO premises if they are not wearing their Id- Card. 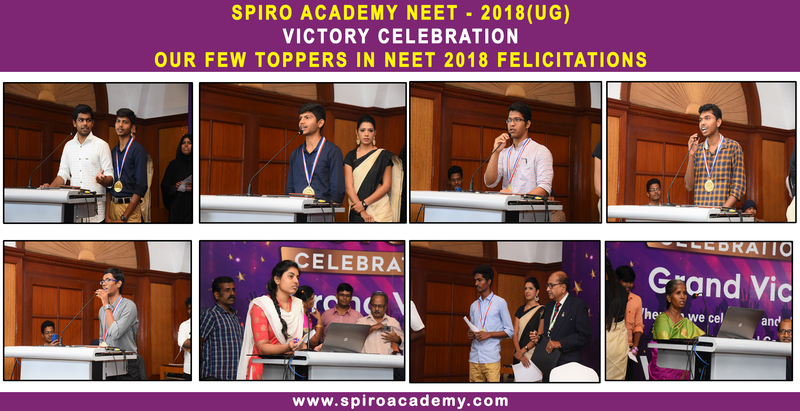 Student Uniform* SPIRO provides Three pairs of uniforms for its students at the Chennai Institute and it is mandatory for the students to wear their uniforms while attending classes or tests. 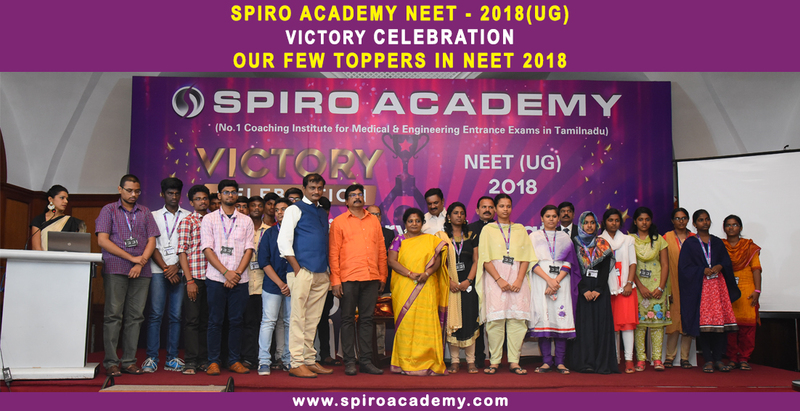 Attendance System At SPIRO, students' attendance in classroom sessions and tests is vital to their success in JEE(Main+Advanced), JEE(Main) and NEET(AIPMT) and we have a regular attendance marking and monitoring system. The students/parents are informed of students' attendance regularly. 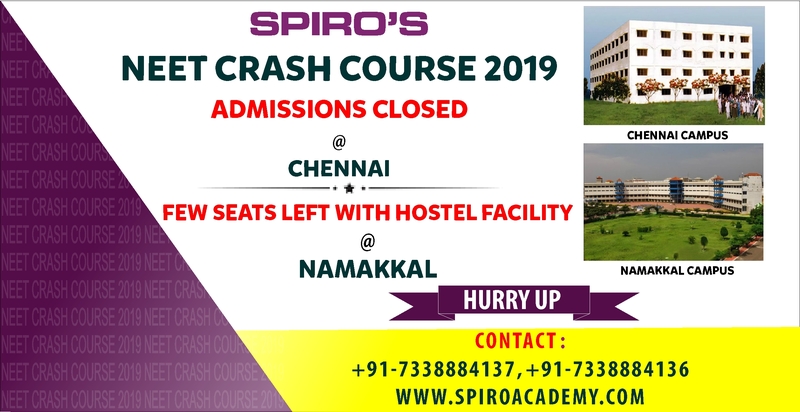 Vacations There is no long vacation at SPIRO during course duration except 3 Days For Gokulastami, 8 days during Diwali & 5 Days for Pongal. Student's Academic Performance and Evaluation Report (SAPER) Sheet Available on website, at student window and on ATM. SAPER sheet is the performance report of a student and is sent by SPIRO to his/ her parents on a periodic basis. It communicates the result and reflects the efforts being made by the student. The test performance is also made available on the SPIRO website and is communicated to parents through SMSs. 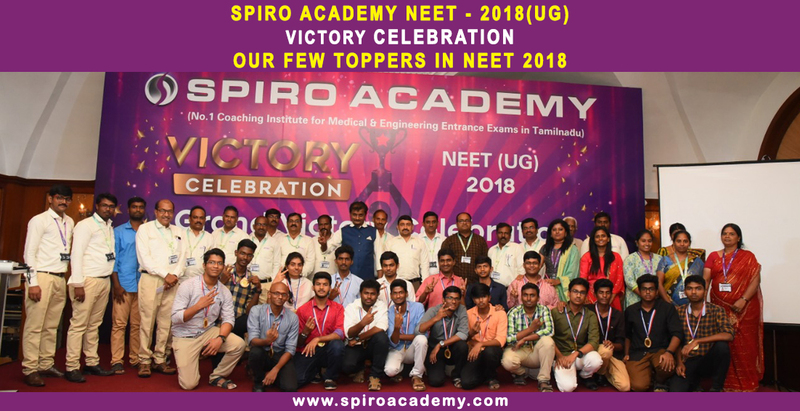 Introductory Class Introductory classes are conducted by HODs & subject epxerts for the students who are new to SPIRO with the objective of making them aware about SPIRO and its system, IITs & IIT-JEE, NITs & AIEEE, Medical Colleges & Pre-Medical Tests and general Do's & Don'ts. Parents Teachers Meet (PTM): The PTM is a platform for parents and faculty to share information on student academic progress. 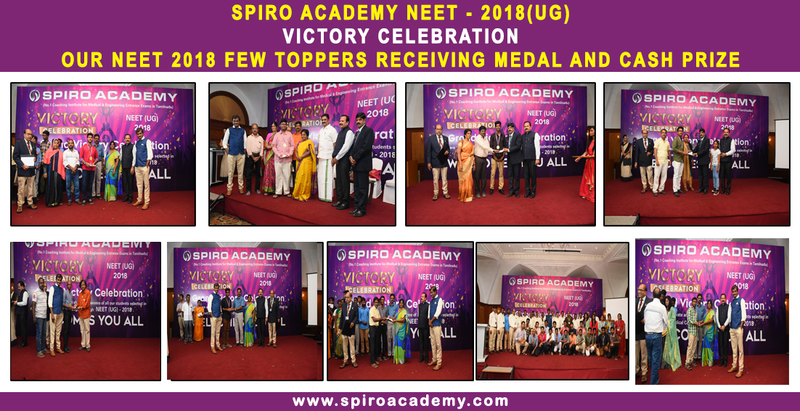 Parents SPIRO Meet (PRM): The PRM is a platform for parents and non-academic staff to share information on the student welfare and other non-academic concerns. 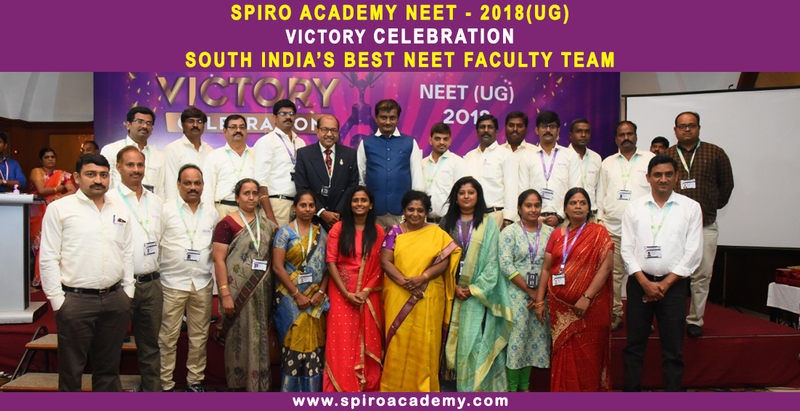 Students-HOD Meet (SHM): The SHM allows one-on-one interaction between students and HODs and helps immensely in boosting student confidence and fine-tuning performance. Girls Counseling Cell (GCC):The GCC allows the female faculty and staff members to regularly meet, interact and motivate girl students and help them with their academic, co-academic and personal concerns. General & Career Counseling We take special care of our students through our regular calling system and faculty and staff members regularly meet, interact and motivate students towards the achievement of their goals. 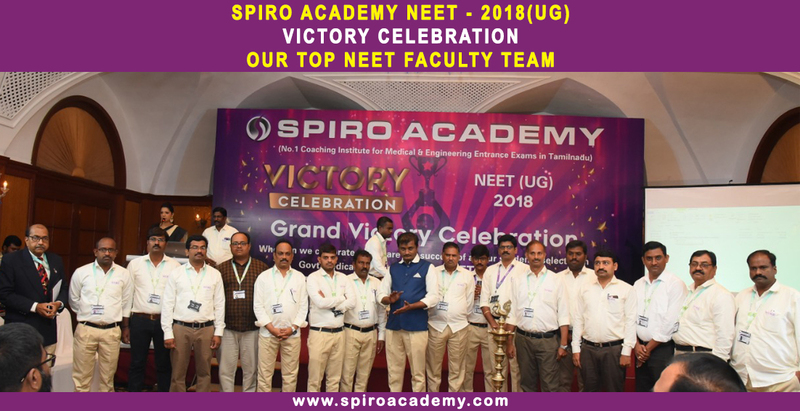 The academic and co-academic staff takes care of the students' personal problems. Psychological & Health Counseling The Institute runs a free psychological & health consultation facility and the psychologist & a team of Doctors works closely with staff members in planning and delivering programs such as student mentoring, study skills, transition, positive peer relations and life skills. Parents are always encouraged to contact the psychologist & Doctors when they are particularly concerned over their child's health, progress, expectations or emotional balance.